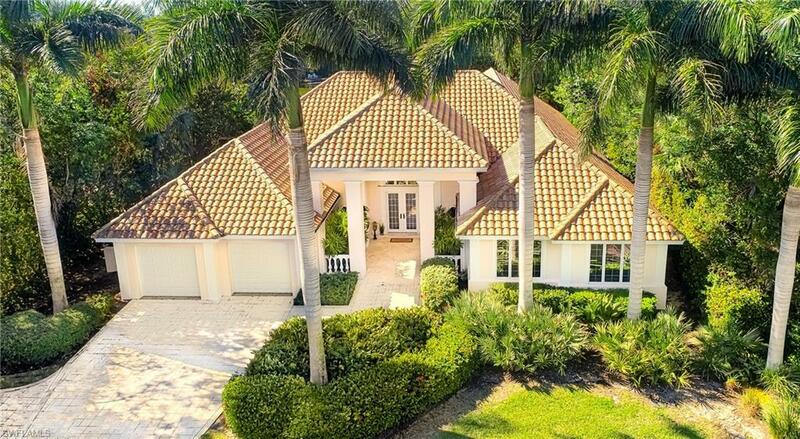 Tucked away in the private tropical community of sea oats off of sanibel's desirable west gulf drive you'll find this beautiful and charming home. 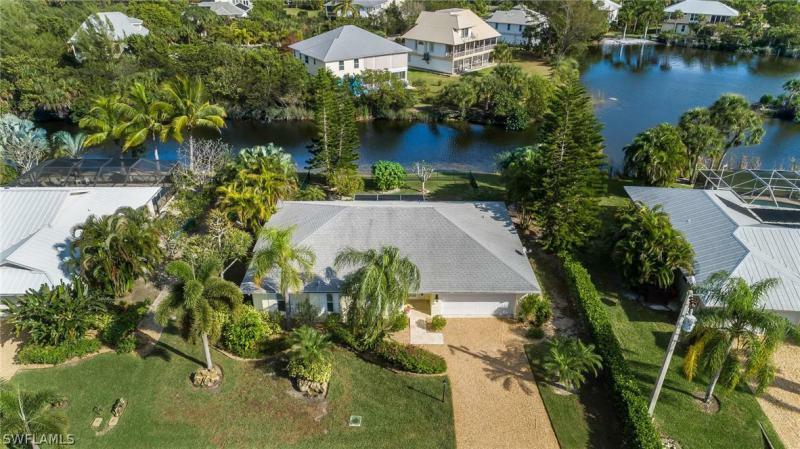 Located just a few properties off of west gulf this ideal location provides the perfect combination of peace and privacy with very close proximity to the sugar sand beach. This beautiful home greets you with an open great room featuring high ceilings, stunning wood floors, and a large bank of sliding doors that open to the oversized deck with an area for sitting, lounging or entertaining. The beautiful open kitchen features stainless steel appliances and a large breakfast bar all open to the living areas. A separate dining area is perfect for holidays or get-togethers. The split floor plan offers a huge master with sliding doors opening to the lanai. Enjoy the tropical breezes as you look out over the blue waters of your private caged pool and enjoy the privacy of your beautifully vegetated backyard. This is a near beach dream come true. The house is a fully equipped cottage with 2 bedroom 1 bath only steps from the white sand beaches of sanibel. Walking distance to restaurants, grocery stores, drug stores, shopping. Ride the bikes around the island you will not need to drive a car. The open living area concept and the modern furnished style will give you the feeling of being in a modern, clean, neat apartment and at a beach house at the same time. After a soothing day at the beach, continue relaxing or have a barbecue in a completely private and secluded tropical backyard this immaculate cottage is located on a street that goes directly to the beach where you can view the sunset every day just less than 5 walking distance. Make this your permanent home or vacation home. Also this could be a great income producing property with monthly rates ranging between $5,000-$7,000 plus fees in season. And $3,000 plus fees in off season. Don't let this pass you by, amazing future value in the land as well. This exceptional west end gulf access home is an amazing opportunity. Situated on a large lot along a quiet shell drive, the home's southern exposure makes it bright and inviting. 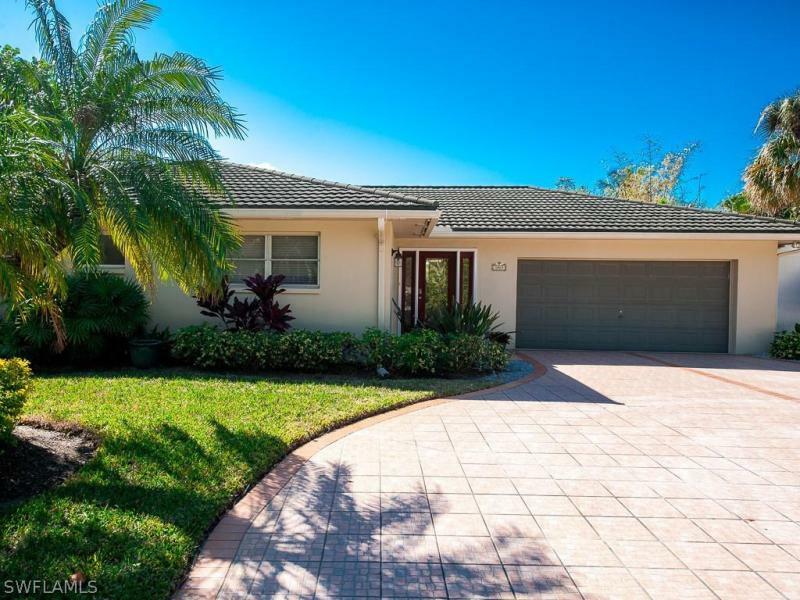 Updated and well- maintained, it is in impeccable condition and has a comfortable floor plan that provides great living space and flows seamlessly to the screened lanai. A built-in hot tub on the lanai is a fabulous amenity and provides a beautiful focal point. The backyard canal leads directly to dinkins bayou and out to the gulf or pine island sound. Manatee and a great variety of birds are regular visitors. Lush tropical landscaping accentuates this water-front setting. Pine tree drive is less than a mile from blind pass beach where spectacular sunsets over the gulf are enjoyed nightly. Also at blind pass beach is a general store and three restaurants. All just a stroll or a bike ride away along sanibel's paved shared use path. A private boat dock, a wide mangrove canal, and minutes to open water make this an excellent boating home. The nearby beach, exceptional gardens, and abundant wildlife make it even better. Quality construction and tasteful decor complete the package. Beautifully remodeled 3bd/2ba lake home. Located in east rocks just off west gulf drive, this home is just a short walk from the beach access. The living/kitchen areas boast beautiful lake views. New stainless appliances, freshly painted, new baths, new tile flooring and new cabinetry throughout make this renovated home ready for a new owner. Priced to sell. Build your dream home here. Tropical lot near beach cleared lot in sanibel's beachview estates community. 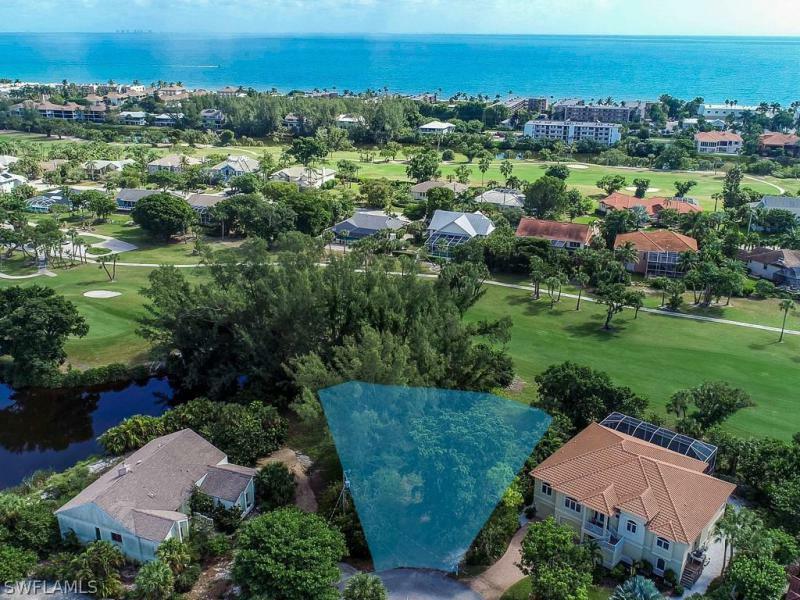 This quiet location near the cul-de-sac on par view drive has sweeping views of the 12th fairway and is close to the private, deeded beach access via footbridge. Sanibel island golf club offers a semi-private 18 hole, par 70 championship course that winds around & over the scenic sanibel river where players enjoy nature & wildlife as well as a challenging round of golf. As members of the audubon cooperative sanctuary program for golf courses, sanibel island golf club prides itself in preserving the natural florida landscape surrounding the property. With 5 state of the art hydro-grid tennis courts, pro shop & observation deck, the tennis facilities are outstanding. 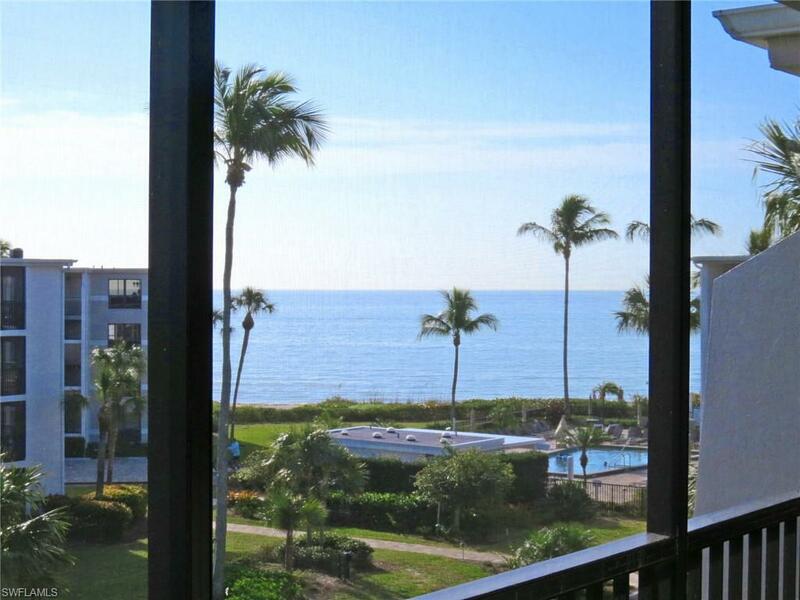 All beachview owners enjoy private, deeded beach access with parking.